You have questions about iTunes. Kirk McElhearn has the answers. Occasionally, I get a number of questions that cover related topics around the same time. 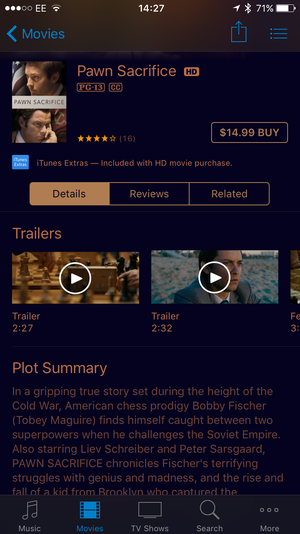 Lately, I’ve been getting a lot of questions about seeing things in iTunes, and on iOS. One is about seeing artwork for different songs. 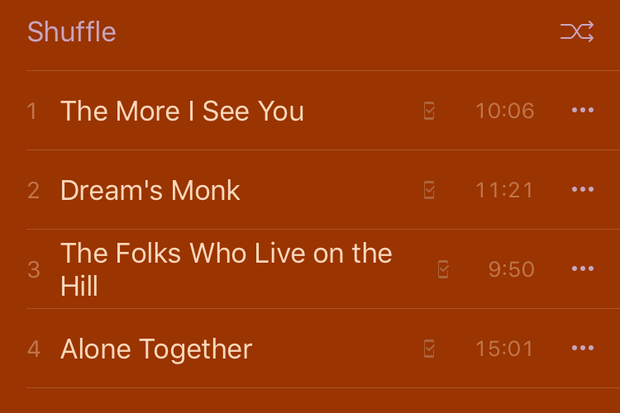 Another is about seeing the names of songs in the iOS Music app, which isn’t always easy. And the third is about the small font size in iTunes; I offer a workaround that can make it easier to read these tiny texts. Q: With older versions of iTunes, artwork for a selected song displayed in the lower left corner. I have a lot of albums that are collections of songs, where each one has different artwork. I noticed that when I view music in iTunes 12, it shows the first track’s artwork for all songs in that album. I know that the individual song artwork shows up at the top of the iTunes window, but it is very small. Is there a way to get iTunes to show each song’s artwork rather than the album artwork? It was great when iTunes had that artwork display in the bottom left corner beneath the playlists column. Like you, I find the visual reminders to be useful when I’m listening to music. There is a way, however, that you can display artwork for each track. When you’re playing music, choose Window > MiniPlayer. 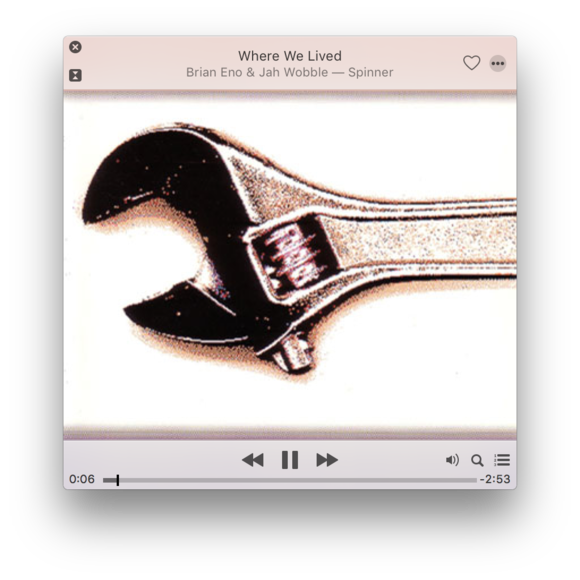 iTunes displays the small MiniPlayer window, which has an artwork thumbnail, and which also displays information about what you’re listening to. When you hover your cursor over the window, it changes to show controls, such as play/pause, next, previous, etc. The MiniPlayer gives you a small window you can use to control iTunes. If you click the artwork thumbnail, the window expands to display the artwork alone, much larger (and you can resize the window a bit). Hover you cursor, and controls display, as below. You can keep this window visible at all times, and even set it to float above other windows. To do this, go to iTunes > Preferences > Advanced, and select Keep MiniPlayer on Top of All Other Windows. You could set this so it stays in a corner of your display, and, even if iTunes isn’t the frontmost window, you’ll still see the artwork. There’s just one thing. I tried altering artwork for a few songs in my library that uses iTunes Match and iCloud Music Library. When iTunes played the first song in an album where different tracks had different artwork, it displayed the artwork for that album; the artwork that I hadn’t changed. When it got to a song with different artwork, it started playing, briefly flashed the changed artwork, then showed the correct album’s artwork. When I looked at the files, the artwork had been replaced. I assume this has something to do with the way iTunes Match and iCloud Music Library sometimes alter metadata. When I turned off Wi-Fi on my Mac, iTunes didn’t change the artwork, so it was clearly being grabbed from Apple’s servers. This isn’t easy to read. Q: In the iOS 8 Music app, albums displayed with a simple white background. 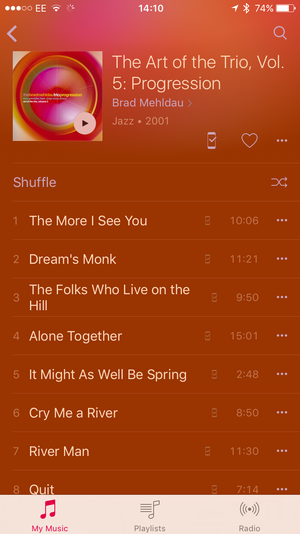 In iOS 9, the song list now shows with a background color based on the album artwork color scheme. I find this awkward and hard to use. Is there any way to set everything to the simple white background, short of erasing all the album artwork? In addition, many people are color blind, or have color vision deficiencies, and these color combinations could make it harder for them to read. (In writing this article, I found that men are more likely to be color blind, with approximately 8 percent of men suffering from this, versus only 0.5 percent of women.) I hope Apple realizes that many people don’t like this display, and that they offer an option—as in iTunes—to turn off these annoying colors. Texts in the iTunes Store app can be impossible to read. Q: I have older eyes and the type in the iTunes Store is too small for me to easily read, even on an iMac with a large display. Is there any way to fix this? It’s not just the iTunes Store, it’s all of Apple’s stores. The iOS App Store is the worst example of this. The type used for app descriptions is minuscule. 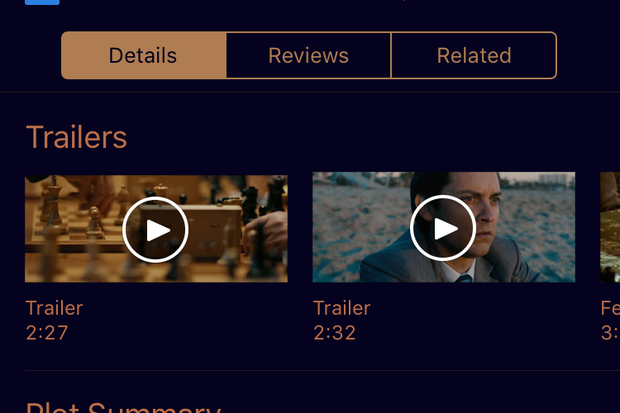 And for media in the iTunes Store app, there are issues where there are colored fonts on colored backgrounds—similar to what I discussed in the previous question—making things even harder to read. While you can’t increase the font size in iTunes, there is a way to view things more easily on a Mac. Open System Preferences, then click Accessibility. 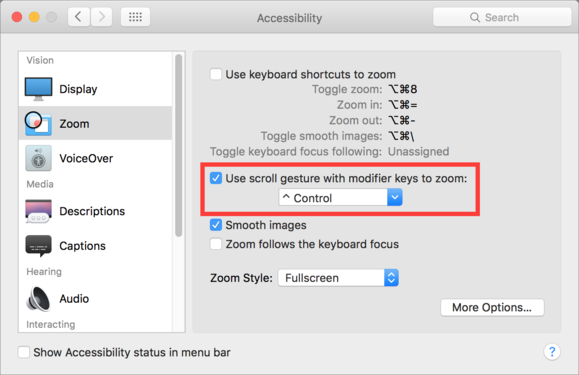 Click Zoom, and check Use Scroll Gesture with Modifier Keys to Zoom. You can choose from the Control, Option, or Command keys. When this option is active, you can press and hold the key you’ve selected in the preferences, and then scroll with your mouse or trackpad to zoom in and out on your Mac. I use this often when I find a website whose font is too small; it’s actually easier than changing the font size in Safari, because then I need to change it back for other sites. You can use this with iTunes when you need to. You can turn on an option allowing you to zoom on your Mac.